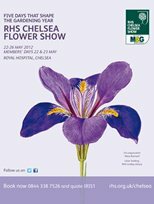 We are very pleased to inform you that we will be participating to the world famous Chelsea Flower Show in London in May. As a French Living Heritage company, we will proudly show our reknown Anduze pottery to the high-end visitors and garden lovers. You can meet us at Southern Road 19.